January is going to be an amazing month for The Squirt Project! Back in November, I had the pleasure of facilitating the popular Get Squirticated workshop at Wicked Wanda’s beautiful new store and event space located in the historic Barrymore’s building in downtown Ottawa. I had some wonderful ladies participate and share their experiences with me and am very much looking forward to the next workshop, which will be held January 4th, 2015. You can find more info or book your space here. 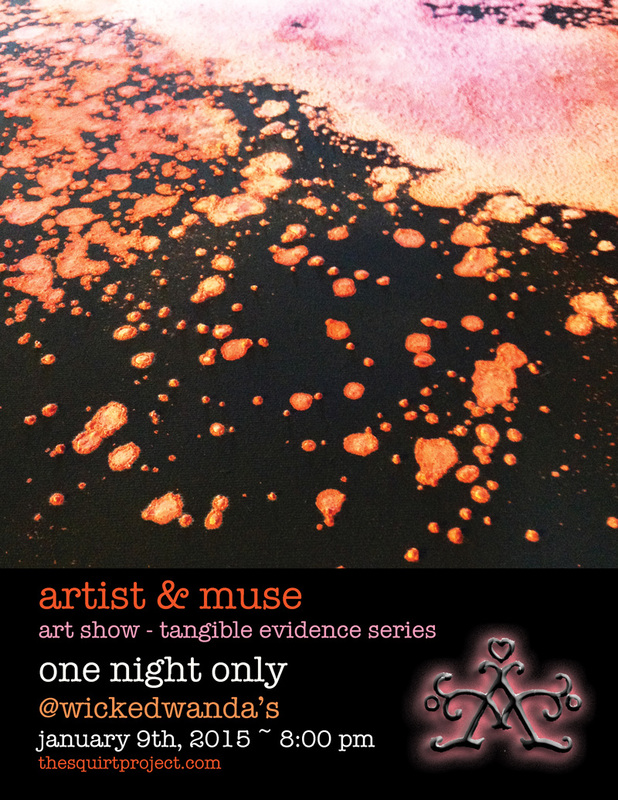 Also in January will be Artist & Muse first ever solo gallery show featuring our unique and controversial Tangible Evidence series squirt paintings. Our goal is to shake up the sleepy and occasionally boring Ottawa art scene with some fresh feminist inspired work and buzz worthy subject matter. If you are into the contemporary art scene, this intimate show is not to be missed! More details coming soon! I would also like to extend a holiday treat to all my fans and supporters by offering a special $5 coupon to those who spend over $75 (before taxes!) at wickedwandas.ca Canadian online store. Use the code MUSECODE to take advantage of the offer! Previous postGET SQUIRTICATED! Workshop November 18th! Next postTangible Evidence Show a success!